The IG Template is available for SIM SDK Edition only. The IG plugin API section for more details on managing IG via code (C++). ISkyMap Class for more details on managing sky and celestial bodies via code (C++). IMeteo Class for more details on managing global weather settings via code (C++). IRegion Class for more details on managing weather regions via code (C++). Using a full-year ephemeris model IG automatically updates positions of the Sun, Moon, and stars based on the date, time, and geographic location. Star field intensity is very low by default. You may need to adjust brightness level of your displays or increase maximum brightness of the star field for your area. Alpha channel is used by the system to control Star Intensity (e.g., via CIGI). Enable the sun node back again and save your world. Stars are positioned on the sky automatically, depending on the date/time and geographic location. Parameters of the Celestial property containing links to the corresponding nodes. Positions of the Sun and the Moon are adjusted automatically depending on the date/time and geographic location. Global - global atmospheric conditions (atmosphere_control packet): visibility range, wind speed and direction. Weather layers - representing atmospheric layers, which have no distinct horizontal boundaries. Atmospheric effects are observed anywhere within the vertical range of a layer. Weather regions -representing regional weather in certain areas. They have the same set of parameters (visibility, coverage, wind) as weather layers but atmospheric effects for them are limited to their boundaries. Weather layers and weather regions always take precedence over global atmospheric conditions (i.e. global atmospheric changes will not affect the weather inside a layer or region). When several layers and regions overlap their parameters are combined. 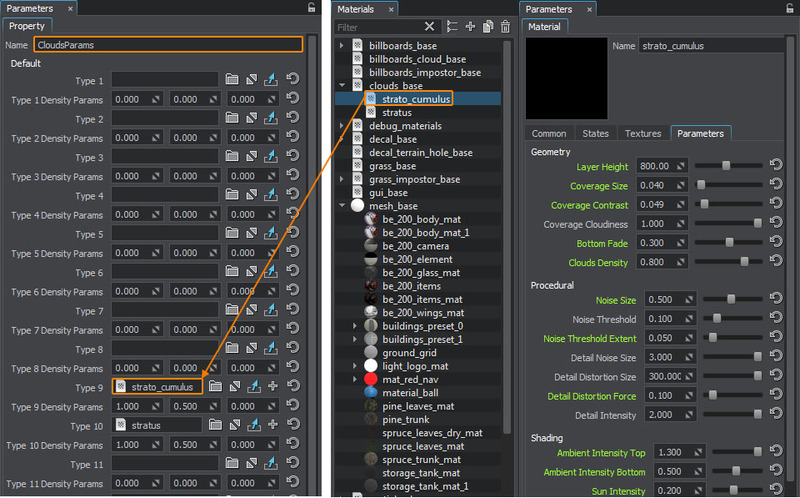 Weather layer wind changes global Animation Scale and Animation Wind for Vegetation depending on player's position inside weather layers. Ground Fog - used for ground fog effect simulation. 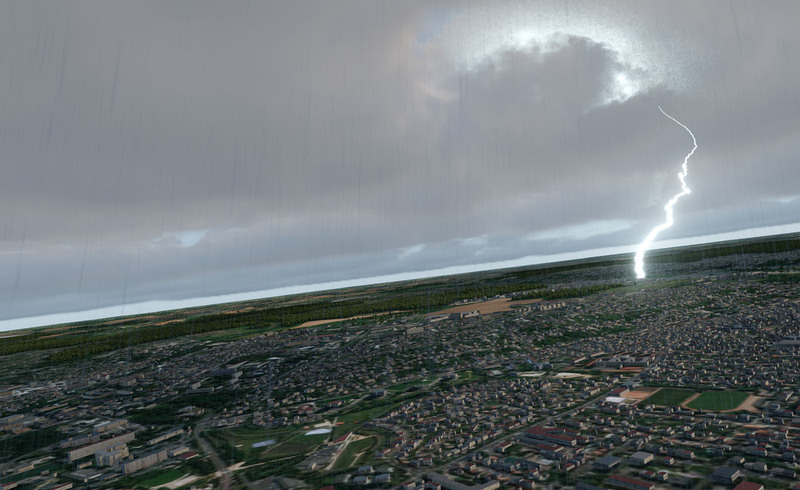 This effect is currently simulated using Environment Haze, that depends on Visibility Distance of a Weather Layer. You can add more layers and regions if necessary. Volumetric clouds are particle masses that simulate light absorption, creating a realistic reduction in visibility when flown through. 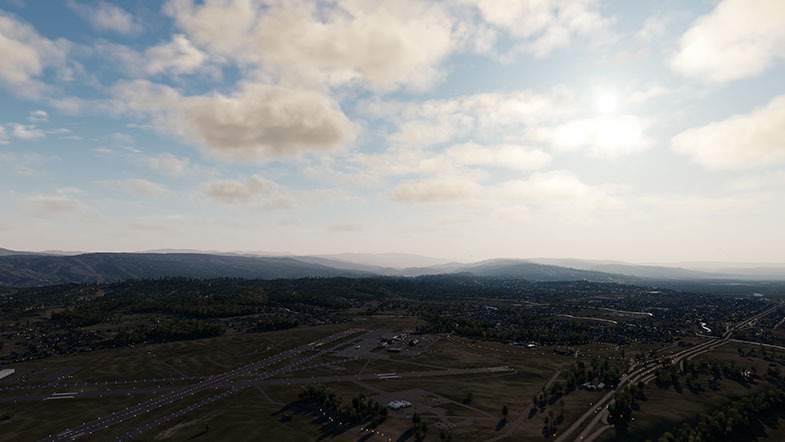 Clouds can cast shadows on the terrain. IG currently supports Stratocumulus and Stratus clouds (types 9 and 10 according to CIGI specification), but you can extend this set by inheriting new materials from the clouds_base, tweaking their parameters and assigning these materials the the corresponding fields of the CloudsParams property (data/ig/weather/properties/CloudsParams.prop). Cloud coverage does not change immediately, it has some transition period providing smoothness. You can adjust transition time by changing value in the cloud_transition_time tag in configuration file (data/ig_config.xml). 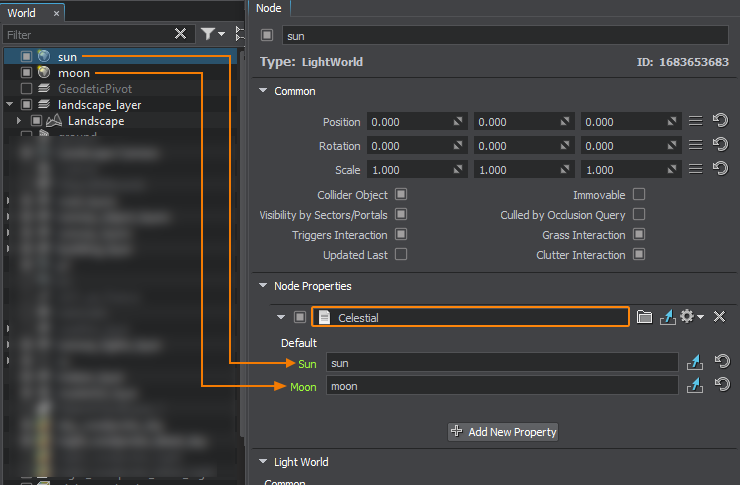 Lightning parameters can be found in the LightingProperties property (data/ig/weather/properties/LightingProperties.prop). Period - interval between the subsequent lightning flashes, in seconds. the first two are emission_random_factor_min and emission_random_factor_max - these values define the limits of random flash intensity (min and max deviation from the value of the Emission Scale parameter of the lightning material). emission_period - defines the lifetime of a single flash, in seconds. This value should always be less than the interval between the subsequent flashes. To adjust parameters for rain or snow (intensity, size of raindrops/snowflakes, etc.) 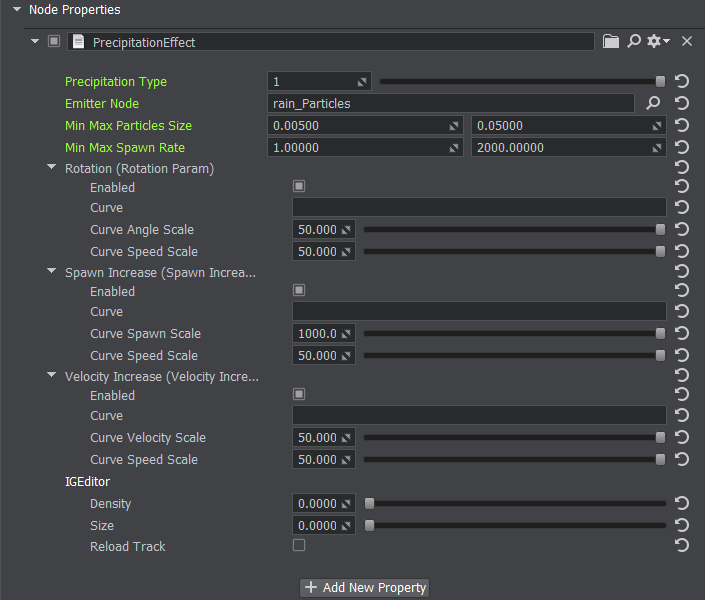 select the corresponding node on the scene and tweak the parameters of the PrecipitationParams property assigned to it. Minimum Intensity and Maximum Intensity - these values define the limits of random intensity of rain or snow. Minimum Particle Size and Particle Size - these values define size variation for raindrops or snowflakes. Source Node - node representing rain or snow on the scene. Lut Base Image - Base scattering LUT to be used. Lut Mie Image - Mie scattering LUT to be used.